market - I cannot remember which one anymore. I just love dolls and have a huge collection. 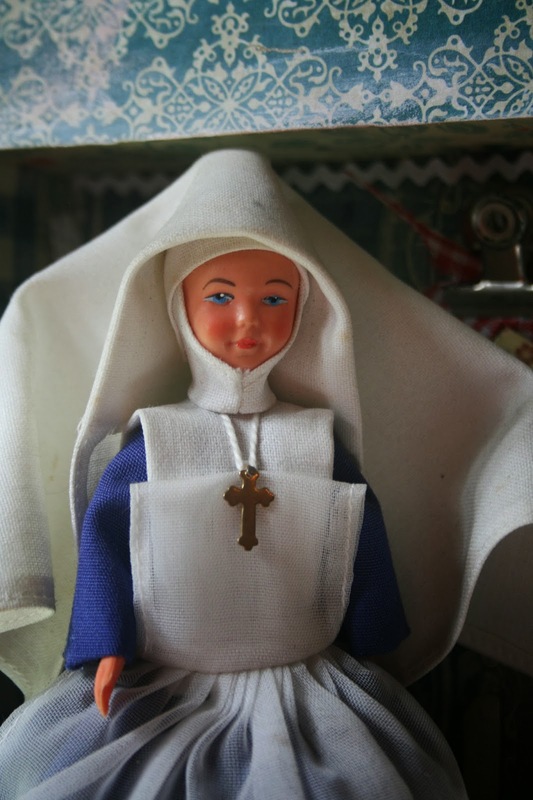 I was over the moon to find this little nun doll. you have to do it all yourself. or eggs on a shelf! So I created this little kitchen for her. 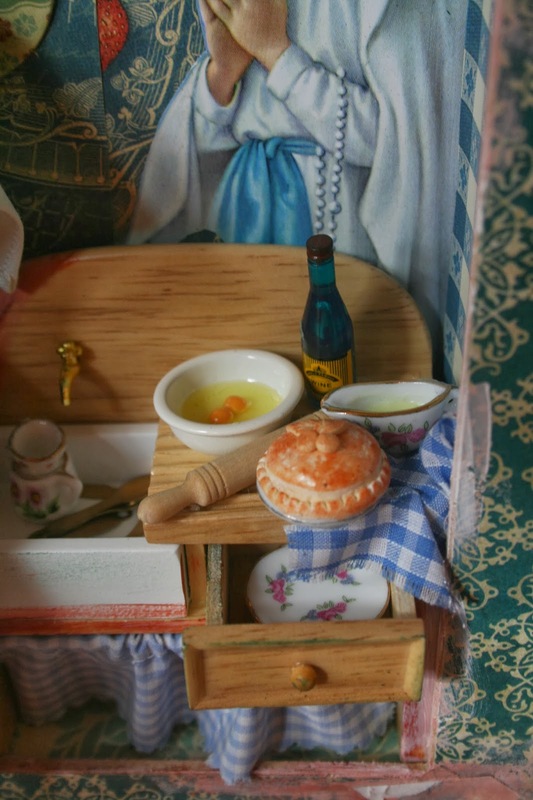 She has the most beautiful tiny objects. the Mother of our Earth, She who is our daily food. What a sweet creation. Your have given her the perfect setting. Thank you Anne!! our art and creations all love to be seen and appreciated! 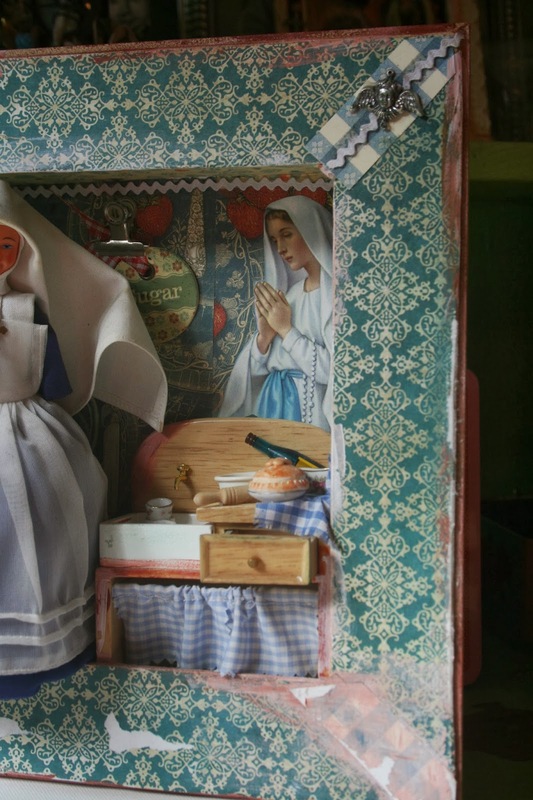 Also I can confirm the statement: "I just love dolls and have a huge collection." 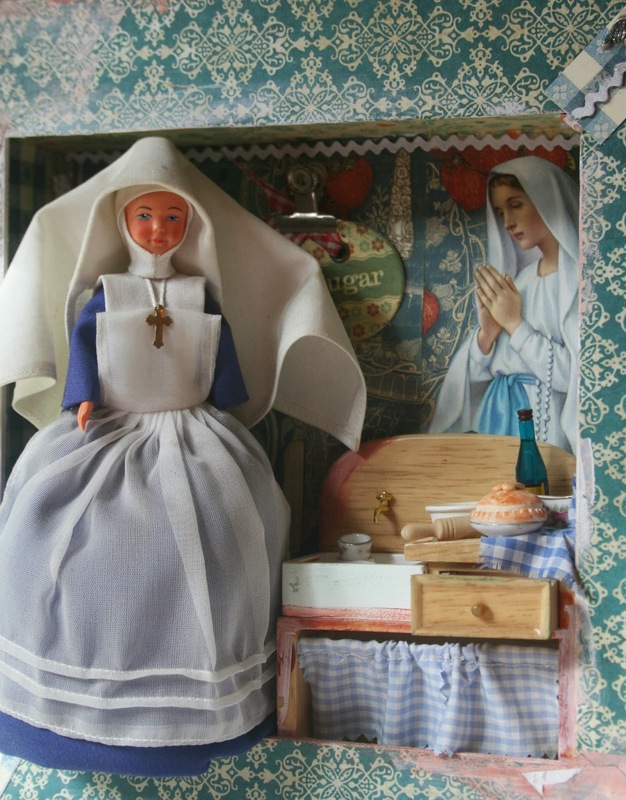 I can't stand how exquisite your nun is with her outstanding kitchen is! By that I mean I wished I had your eye for setting up everyday things and embellishing them into a sacred setting! 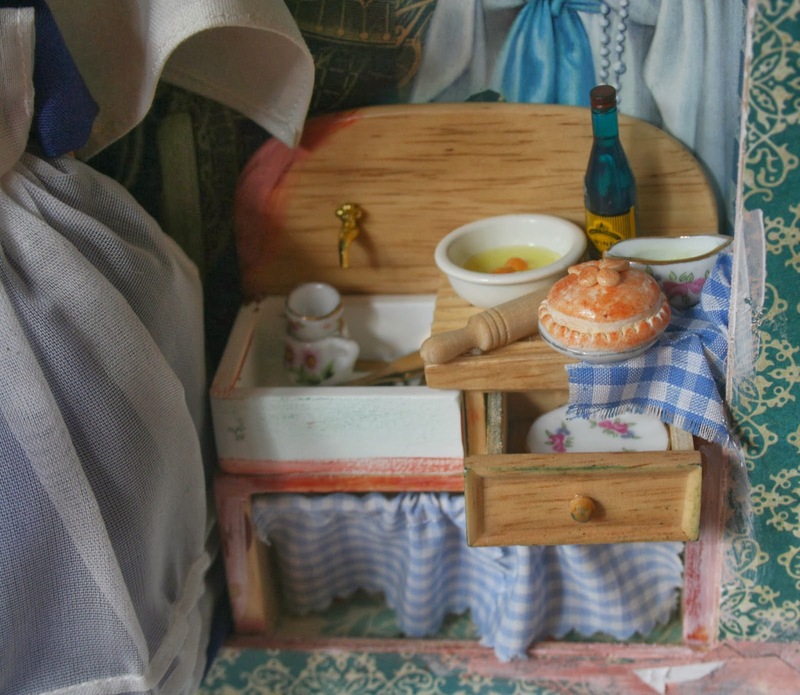 I now have to visit Fran's site because I have a Victorian dollhouse that my husband and youngest son put together for me about 20 years ago. Thank you for taking on hosting Mondays with Mary. A stunningly beautiful set of tarot cards. I'm reading the book teaching about the cards now. It is full of depth and wisdom. I appreciate the nicely crafted pouches and extra pictures of blessed Mary you enclosed. I am VERY pleased and know my life will be permanently enhanced by this fortunate purchase. Excellent and reliable seller. Barbara from Switzerland says : Today the shrine was coming with the post. It's so beautiful! I'm happy to have it. I hang it beside my bed at the wall and show it to others in my blog: Thank you! Your artwork is very special, because it's clearly to see, with how much love you made evry piece. Hettienne Grobler. Simple theme. Powered by Blogger.